The People's Picks - the annual pop culture collectibles reader awards! It's the People's Picks for 2009! I've posted my picks for the best and worst of the year, and now it's time to check out what the People have said. I'll be discussing the Poppies next, which are the industry judge's picks for best of the year. I've compiled the results from the People's Picks for 2009, and this year I used the same categories - and nominees - as the Poppies, so we could compare the results. And in that comparison, there's some very interesting results... If you have any comments or questions, feel free to drop me a line. I'll be adding my editorial comments of course, but I'll save my comparisons between these results and the Poppies for the end of that results page. Now let's get to those People's Pick results! I don't know about you, or about the other voters, but when I think about a 'best' company, I think about how they treat their customers, how they manage their business, and how well they execute on their strategies and plans. It's really pretty simple, although some companies seem to have so much trouble with it - are they producing what their customers want? The company in third place, with 9% of the vote, is Diamond Select Toys. They've done a terrific job with the specialty market, and produce a wide range of collectibles in multiple categories. It also helps that their momma didn't raise no dummies, and they let their fans know about the poll. In second place is a regular for the last few years. Sideshow took 10% of the vote, and it's no surprise. They've made customer satisfaction and communication more than an aspect of their work - they've turned it into a competitive advantage. The winner here is probably no surprise, but the massive landslide by which they won was. It's Hot Toys of course, a company that continues to take everyone else to school. Many of the voters have probably not bought anything they produce due to the high cost, and yet they've developed such a reputation for quality and concern that they swept this category with a whopping 59% of the vote! There has been much discussion over the years about breaking up certain categories due to price. I'm open to the idea when it makes sense, and when it comes to overall lines, it makes sense to me. It's tough to compare a line where all the figures cost $150 a pop to a line where the figures cost $10, and so this year we broke it up into a High End category and a Low End category. There were lots of companies that produced some amazing high end figures this year, but Hot Toys swept the category. That was a surprise to me, but maybe not to you. The third place winner was Terminator: Salvation with 9% of the votes. It was my top choice due to the exceptional work on every figure in the series and the wide range of characters they produced, but other folks like a couple other obvious lines a bit more. The Iron Man series took second place with 19% of the vote. While there was really only three releases in 2010 (plus a variant and the Stark suit), those three releases were some of truly works of engineering excellence. But again the first place winner was a huge blowout, with 47% of the vote going to the Dark Knight series. It's no real surprise of course, especially with the best figure (the DX-01 Joker) coming out so late in the year and fresh on everyone's mind. Everyone knew Hot Toys would dominate in the Overall Line category, so it only seemed fair to give the mass market and reasonably priced specialty market figures a chance to shine with their own division. Until Hot Toys starts selling action figures at Wal-mart, anyway. Mattel has done a lot for the action figure collector this year, giving them a bunch of great figures and a whole lot of gray hair. Hey, I didn't say it was all good. The third place winner, with 11% of the vote, is Masters of the Universe Classics. Yep, I love the line too, and it is no surprise to see it in the results. I was surprised by the second place winner though, mostly because I've lost track of the series. It's Hasbro's Star Wars line, which took in 12% of the vote and barely squeaked past MOTUC. People still love the little buggers, and they still sell extremely well. With those two out of the way, you've probably guessed who the big winner is - DC Universe Classics. The line took in 17% of the vote, and it's clear that Mattel has a winner on their hands if they don't mismanage it into oblivion. As I mentioned in my choices, the pickin's are little slim in this category these days, but DST, NECA and Mezco are still doing their part. NECA gets third place with their Jason figure from early in the year. I'm betting the same 20% of the voters that picked it wouldn't have put the film in their top three of the year, but sometimes the action figures are actually better than the property on which they are based. DST gave us a bunch of 18" figures in their Ultimate Quarter Scale series, some good...some not. Perhaps the best of the 2009 UQS line was their Han Solo in Hoth Gear, and 23% of the voters agreed, giving it a lock on second place. The first place winner was clear, with 30% of the vote - Abe Sapien from Mezco. Mezco has always done a nice job in this scale, and they've always done a great job with Hellboy, so it's a natural combination. There haven't been too many real surprises in the actual picks yet, but there's one here. We saw how Hot Toys swept the Best Overall High End category, so doing well here is certainly not a surprise. But I didn't expect them to sweep the category, especially with strong releases from Enterbay (Godfather, Jack Bauer) and Sideshow (Vader). But they pulled it off! Another surprise is that the Hot Toys Godfather ended up not in first or second, but third, with just 8% of the vote. I had really expected the people voters to place this figure higher on their list. But it couldn't pass the MKI Iron Man. 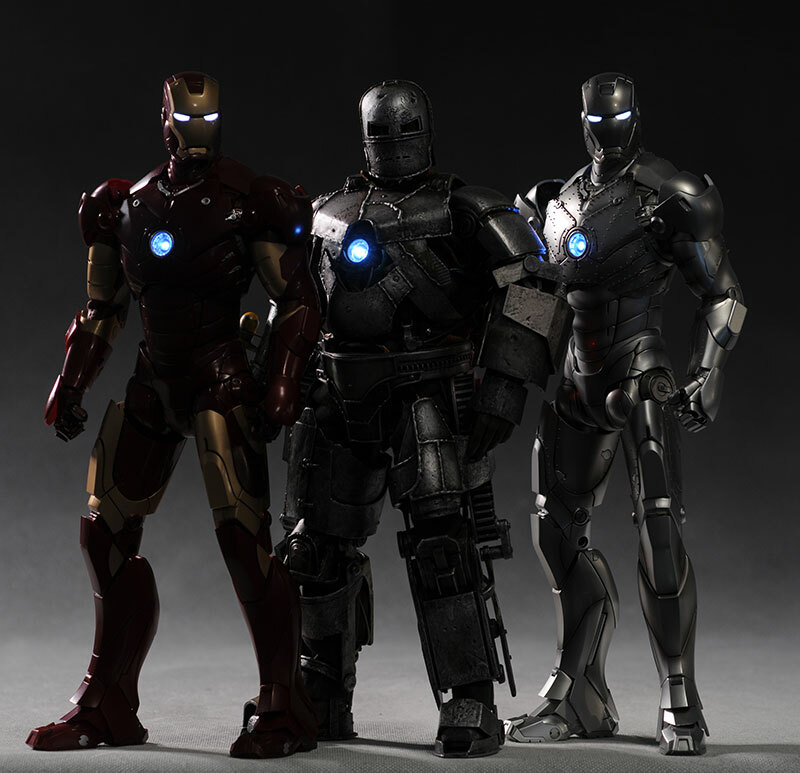 With these kind of results, Hot Toys must realize what a huge potential hit they have on their hands with Iron Man 2. There's no surprise with the winner. Their first deluxe release truly was deluxe, and has taken the market by storm. The DX-01 Joker took a commanding 43% of the vote, dominating the field. In case you were wondering, the judges did discuss breaking this into two categorys, low and high end, just like the overall series. I ended up vetoing the idea though simply because there weren't enough nominees to allow for a low end category. If there's only three figures to choose from, it doesn't make much sense to me. We'll review the offerings again next year though, and decide whether or not it this category should be broken up. In the smaller scale, cheaper figures dominate of course. I've talked several times before about how putting too many choices from the same series in a category can hurt them all, and this is the perfect example. If you don't get it after seeing these results, then I can't make it much more clear. Second place goes to another very popular figure from the DCUC - the Joker. You'll remember I put him at my number one slot. Again, he only took 10% of the vote. And who took first? It must be something from DCUC...or certainly MOTUC. They were two of the three top lines, right? Wrong. The big winner is a great figure, don't get me wrong - it's Big Daddy from Bioshock, by NECA. He's certainly deserving of all the praise, but I can't help but think that perhaps his win came due to having too many DCUC and MOTUC choices for the voters. If you're a fan of MOTUC and you have four choices, you'll pick one of them, but different fans will have different tastes, watering down the vote. Another indication of this is that Big Daddy took first with just 12% of the vote. If you combine the votes for all the DCUC figures, they took 27%, and MOTUC took 17% overall. Don't be surprised if you see a new rule in the Poppies and People's Picks that allows only one nomination in a category for a series next year. Again - don't get me wrong. Big Daddy was a fantastic figure and deserves the kudos. I just think the overall results speaks to what can happen when the vote is watered down. There's plenty of little figures out there, although the number did drop a bit from 2008 to 2009. With the current economy, I don't think we'll see an end to the 4" figure any time soon. Just like Hot Toys knows how to do sixth scale, Hasbro knows how to do this scale. And because of it, they dominated. Their X-men Origins: Wolverine Deadpool took third place with 12% of the vote. The line has been hit or miss as far as I'm concerned, but Deadpool was definitely one of the better figures. In second place is Snake Eyes from the G.I. Joe RoC series. There's been a slew of figures, but this one stands out for a lot of fans. Marvel Universe steps up for the first place winner too - Iron Man. I was surprised, since I love him but I really didn't realize the feeling was that universal. Okay, maybe not universal, but 18% of the voters felt that way. Some folks would like to see this category get busted up too, into various scales and categories. Unfortunately, there's not enough female figures to fill out various scales - hey, it's not my fault. Teela from the Masters of the Universe Classics took 10% of the vote, sliding into third. I was a bit surprised by that, expecting her to do much better. 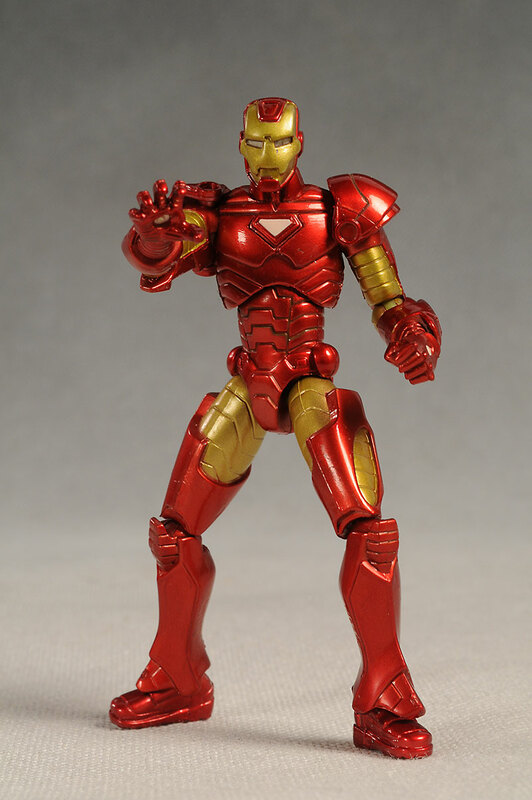 Instead, Hot Toys dominated the top two spots. This was a surprise to me, because neither figure got a lot of great press. Second went to Silken Floss from their Spirit series. Clearly this is another example of the figures surpassing the property. She took 14% of the vote. 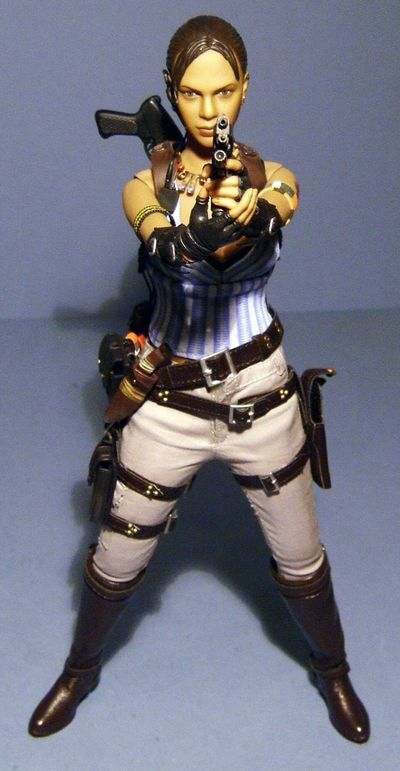 And top honors goes to Sheva, from the Resident Evil series. I haven't seen this figure in person, so I can't comment on how good or bad she is, but I had not one but two guest reviews and both were less than exemplary. Obviously the masses felt she had the goods though, giving her the clear win with 22% of the votes. I think it's safe to assume that the BAF (or CnC) concept is here to stay, with plenty of great choices in this category for 2009. Third place was decided with 11% of the vote, and it's another Hasbro win - the U3PO build a droid. What I thought was cool about this was that there wasn't one BAF, but a bunch, all very cool droids that we otherwise might not have ever seen in plastic form. Second place goes to another Hasbro Star Wars figure, the Dark Trooper. Clearly this concept is working well with the smaller scale series. He took in another 16% of the vote. But the first place winner edged him out with 18% - Kilowog from DCUC. He's big, he's bad, and he's a GL! Another category with few surprises, since it's a category dominated by Hot Toys. It's another one that we discussed splitting up as well, but the only point of that would be to put the two Hot Toys vehicles in one category and everything else in another - doesn't quite seem sensible, does it? I suspect there won't be too much discussion about breaking this one up next year, as we know of no plans for any other massive and ridiculously expensive vehicles getting released. Third place goes to Hasbro though, for their AT-ST. With 7% of the vote, at least some folks gave them a nod. Hasbro had a good year here too, but it would be difficult to call vehicles like their Turbo Tank 'low end'. Hot Toys takes second place with their Bat-Pod. Actually, this vehicle was in the hands of some collectors at the end of 2008, but because the distribution at that time had been so limited, I moved it into the 2009 voting instead. And even though it's been a year, fans still love it enough to give it 14% of the vote. But no vehicle, not even the Pod, had a chance against the Tumbler. 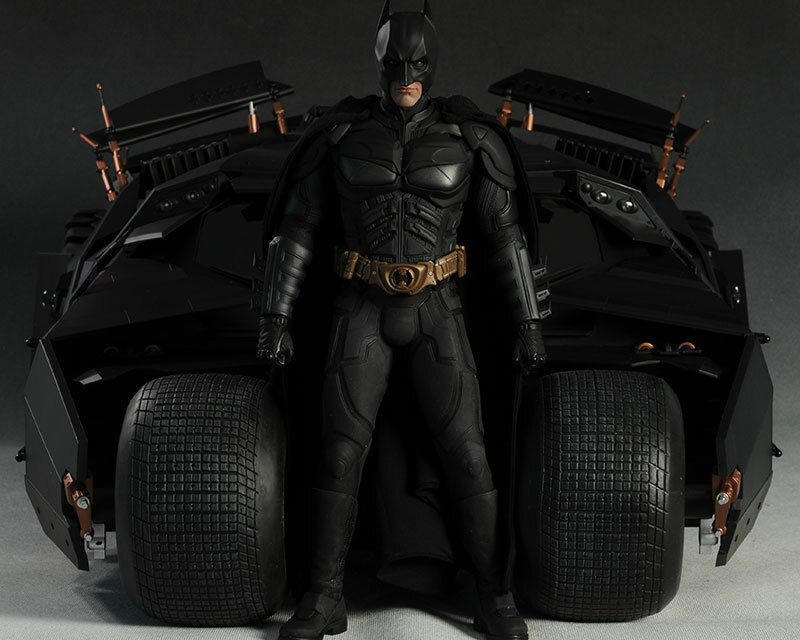 Hot Toys did something very few Batman fans ever expected - they gave us an amazing, detailed, high quality sixth scale Batmobile. Like I said, it's unlikely we'll see something like this again in 2010, but we can always dream. In most years, Sideshow's Premium Format statues dominate the top spot in this category. It's hard not to love at least one of their releases, and the combination of various materials makes for a much more realistic presentation. Sideshow did take third with their Berserker Uruk-Hai PF, which was my number one choice. This is one bad mamma jamma, and 10% of the people agreed with me. Sideshow also took second, this time with the T-800. He certainly had one of the best head sculpts we saw all year. 11% of the voters thought he was all that and more. But the top winner this year is NOT a PF! Nope, it's the Catwoman statue from the DC Direct series Cover Girls of the DC Universe. You can't argue with those eyes! Last year this was another category that Hot Toys dominated, but some other companies really stepped it up this year. DST, always a big bust producer, took third place and 8% of the vote with their SDCC Exclusive Megatron. And here you thought nothing Transformers related was going to show up! Of course, you can't count Hot Toys out completely, and they took second place with their 1/4 scale Alien bust. They took 23% with this baby, but that wasn't enough to secure first. First was taken with a solid 31% of the vote, and it looks at 1/4 scale and snorts. 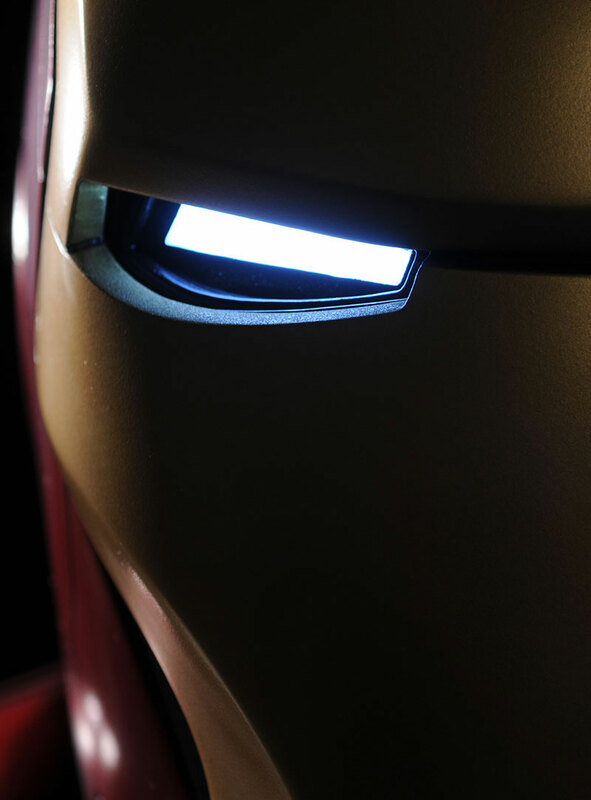 It's the 1:1 scale Iron Man bust from Sideshow. I loved mine, but I'd heard of paint problems with some of them. Clearly the issues weren't widespread enough to topple it from the zenith! If you want to color me surprised, then this is the category for you. There were plenty of choices on this year's list, but the winner came out of left field. Third place goes to the Alien VCD. Medicom managed to get in with one of their better VCD's for the year, and 11% of the voters appreciated the effort. Second place goes to the very cool Staypuft Marshmallow Man from DST. The angry version at SDCC was one of the few exclusives to sell out in a heartbeat at the convention, and the regular version flew off the Toys R Us shelves. The top winner is the big surprise for me, and I suspect it might be for you too - it's the Batman Cosbaby figures from Hot Toys! 17% of the voters turned out to give Hot Toys another win in a category that was completely unanticipated. Prop replicas are an area where there's some really beautiful work...and some real dogs. The people have spoken, and their favorites were pretty clear. Third place was taken but the uber-cool Captain's Chair by DST. They had just 8% of the vote, but that was enough to snag a bronze. I'm betting most of those voting don't own this bad boy, but sure wish they did. Second place was won with 9% of the vote, just edging out the chair - it's the NECA Gears of War Lancer Saw gun. All the GOW weapons have been terrific, but this one was a stand out. The big winner is just that - big. The lifesize C-3PO grabbed a full quarter of the votes, and with this and the Captain's chair in the top three, it's clear that big is in. I don't know where you'd put something like this, but it'd be mighty cool to try. And that brings us to the last category, that catch all of oddballs. I really liked Kotobukiya's Lightsaber Chopsticks, and so did 14% of the voters, giving them a bronze medal. It's such a wacky idea that takes a left turn into cool just at the last minute. My top pick took second with the people, getting 18% of the votes. It's the Toy Story Collection Buzz Lightyear, part action figure, part electronic toy, all cool. Another winner for Thinkway in a license that's done so much for them before. And the last big winner of gold is the Han Solo in Carbonite from Sideshow Collectibles. We had a tough time deciding where this guy should go - is he a statue? Is he a 'playset'? And when it's tough to figure it out, that sounds like a misc to me! He grabbed 24% of the vote, getting the final gold medal of the day. Wow, this thing always takes more work than I ever remember! I had hoped to have both the People's Picks and the Poppies written up tonight, but you'll have to be happy with just the People's Picks for now. Of course, it doesn't help that I'm trying to watch Lost while I write this, and it's pretty damn confusing right now...Hopefully the results are interesting, and once you see the Poppies (which I do have completely compiled), I think you'll be very fascinated by the comparative results!